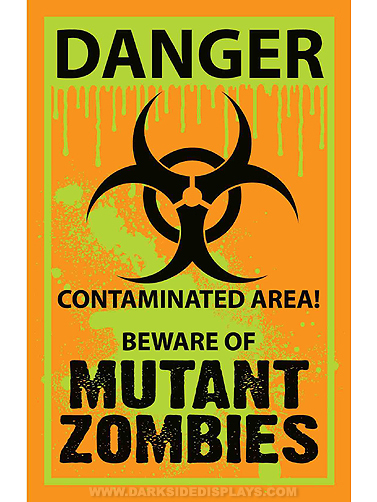 Warn them of the danger that lies ahead with this Biohazard Zombie warning sign. Flexible plastic sign reads "Danger Contaminated Area! Beware of Mutant Zombies." Biohazard Zombie Warning Sign measures 17"H x 11"W with attached 19.5" plastic stake for displaying (not shown in picture).